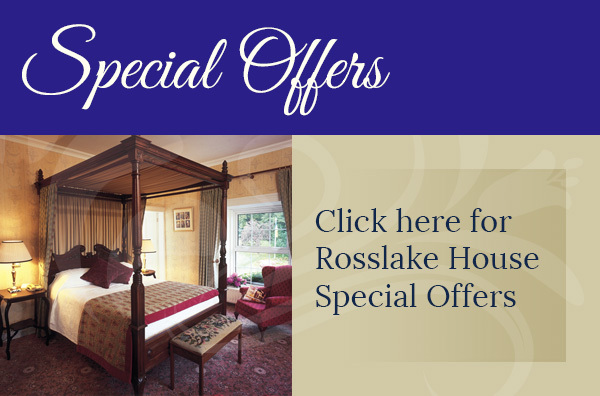 Ross Lake House Hotel is situated 22km from Galway City on the outskirts of Oughterard at the gateway to Connemara. It is unquestionably one of the best locations to explore the Burren Region, famous for its fauna, the Cliffs of Moher and magical Connemara with it mountains and lakes. Visit the Aran Islands, boats departing from Rossaveal Harbour, one hours drive from the hotel. Nearby attractions include Aughnanure Castle, Kylemore Abbey and Connemara National Park with its walks and mountain climbing and not forgetting Clifden, the capital of Connemara. Golf : Spoilt for choice ! Choose any of the following courses all within easy reach of Ross Lake House. 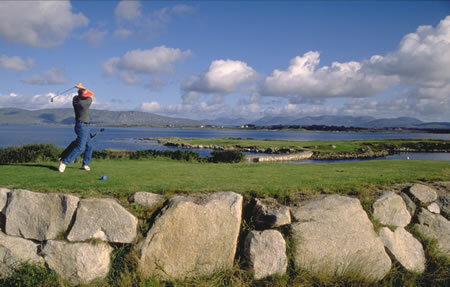 Oughterard Golf Club, Barna Golf club, Galway Bay Golf and Country Club and Ballyconnelly Links Course. Fishing : Game fishing is available on Internationally renowned Lough Corrib. Boat and boatman can be arranged with prior notice. Walking : Beautiful unspoiled countryside to explore.